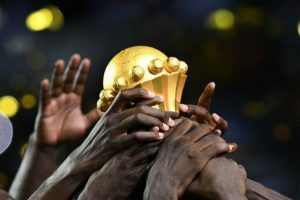 Morocco has emerged as the likely candidate to host next year African Cup of Nations (AFCON) after Cameroon was robbed off the rights to stage the event. A source told Huffpost Morocco that the Moroccan Football federation (FRMF) is willing to host the competition but is waiting for the government’s approval to bid. The North African country will have until December 14 to submit candidacy for the largest and most celebrated African sport event to take place in June next year. After denying Cameroon rights to host the continental football competition over delay in completing infrastructures and also for security reasons, the continental football governing body CAF called for new candidacies. South Africa, the first African country to host the world cup in 2010, is keen to stage the African tournament but its candidacy is yet to be approved by the government. Egypt, which initially harbored ambition to bid has, according to an official from Egyptian football association, backed down and lined up behind Morocco, Huffpost Morocco reports. “Egypt will not bid and thinks it has reached consensus with Morocco to host the competition,” said Magdi Abdel Ghani, member of Egyptian Football Association board of directors. “If Morocco is candidate, it will be well placed. A lot of tourists visit the kingdom during summer, it will be an ideal period to organize such a competition. The country has all transport and hospitality infrastructure as well as an experience in this type of events,” Ghani added. Morocco in June missed rights to host FIFA 2026 World Cup. The USA-Canada-Mexico bid trashed the kingdom’s dreams. The Arab country also hosted AFCON in 1988. It was chosen in 2015 but gave in over Ebola outbreak in West Africa. Posted by Hafid El Fassy on December 6, 2018. Filed under Zoom. You can follow any responses to this entry through the RSS 2.0. Both comments and pings are currently closed.